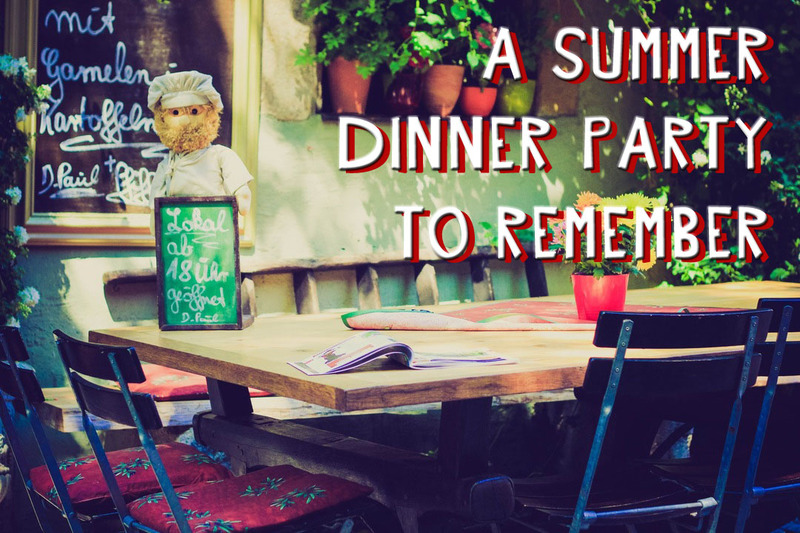 Summer is finally here, and with the days growing warm and long, there’s no better time to dust off the grill, uncork a bottle of wine and do a little dining al fresco. After a long winter indoors, nothing quite lifts your energy like some wine, sun and good company—and we’ve got the perfect recipes and wine pairings for your outdoor dining experience. Celebrity Chef, Jon Ashton created a recipe for Whipped Goat Cheese Bruschetta with Strawberries to pair with the Graffigna Centenario Pinot Grigio. A spin on the Italian favorite, this bruschetta is perfect for warmer weather. The Pinot Grigio's crisp acidity effortlessly balances the rich goat cheese, resulting in a flawless pairing. With one bite, your guests may forget completely about the next course. Until, that is, they smell it. Notes of rosemary and thyme will rapidly lure party members to the table for our rack of lamb recipe, which pairs exceptionally well with the Graffigna Centenario Malbec. Ripe tannins balance the lamb's big flavor, while the wine's spicy overtones complement those found in the dish. 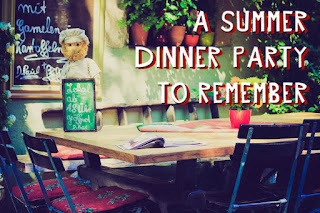 Here's hoping this summer will be exceptionally hard to forget. 1. Pour the oil into a pan, set over a medium heat and add the garlic. 2. Fry until lightly colored, then add the herbs. Turn the heat to low and cook, stirring occasionally, until soft. 3. Let cool slightly. Beat together with the cooking oil to form a paste. 4. Whisk the goat cheese. 5. Brush the sourdough with olive oil, season with Celtic sea salt and toast under the grill. 6. 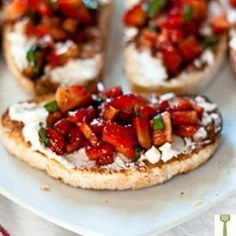 To serve, cut the toast into bite-sized pieces, spread a little garlic purée, smear some whipped goat cheese over and top with strawberries. 7. Drizzle balsamic glaze and add a sprig of mint for a final touch. Master Sommelier Fred Dexheimer recommends lightly chilling this Malbec (to about 60°) before serving. It complements the warm lamb and is more refreshing on a warm day. 1. Mix rosemary, thyme, mustard, olive oil and parsley in bowl. 2. Rub salt and pepper over lamb and cover with marinade. 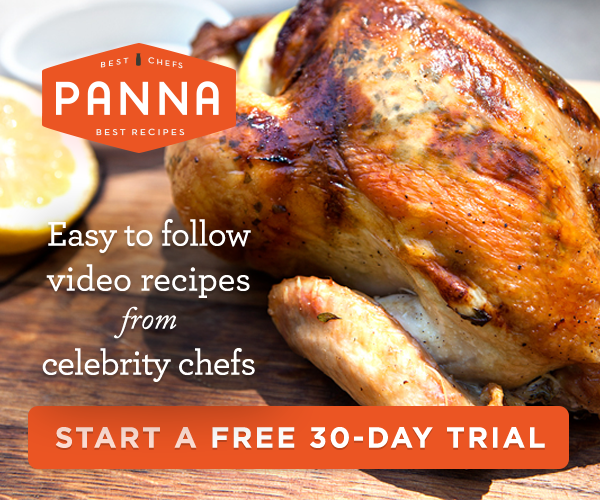 Let sit at room temperature for 30 minutes. 3. Wrap end of bones in tin foil. 4. Preheat a cleaned and oiled grill to medium heat. 5. Place the lamb meat side down on the grill for 1-2 minutes. 6. Turn lamb over (meat side up), and switch grill to indirect heat (either turn off burner directly under the meat, or move the coals to the sides). 7. 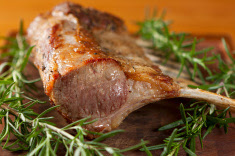 Cook for 12-18 minutes or until internal temperature is 130° F. Let lamb sit for 5-7 minutes before carving. Sounds like such a wonderful time. I would love to try the bruschetta!